SNOW ALERT – March: Coming in Like a Lion!!! 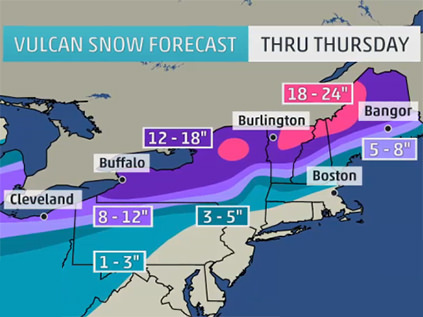 Time to get in the know… Your favorite East Coast Mountains are getting a heavy snow alert! You may have been fooled by the “springy” weather… Well wake up!!! it’s go time– plan a day on the mountain! St. Patrick is driving the spring out of the East Coast this weekend, and leaving you with some serious March Powder. We are prepping for a significant March storm that’s promising snow by the foot to some of your favorite East Coast Mountains. Our full winter schedule is still in full effect, so take your pick – Where are you going to be taking in the March powder? Now, Get out there and ride… It’s Go Time!